Breathing is a reflex. You do it without thinking—a run-of-the-mill process that makes it possible to do things like perceive smells, calm ourselves down, and, most importantly, live. But sometimes parts of our breathing apparatus let us down. In Canada, asthma is the most commun breathing problem, affecting some 2.5 million people. 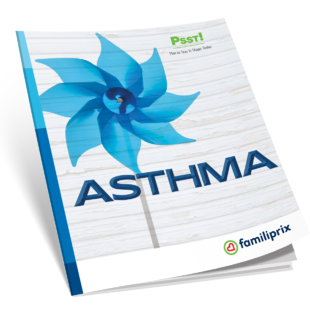 This guide is designed to demystify asthma and show how important it is to properly manage and control it on a day- to-day basis. If someone close to you has asthma, reading this guide will raise your awareness and show you what you can do to optimize the environment to help all asthma sufferers breathe easier.